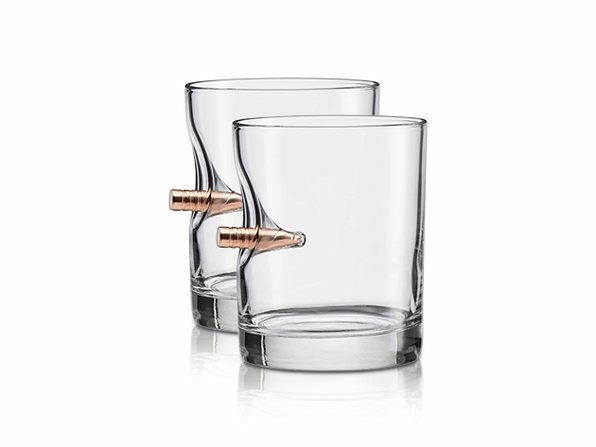 Every drink will be packing some heat when you serve them up in these "bulletproof" glasses. 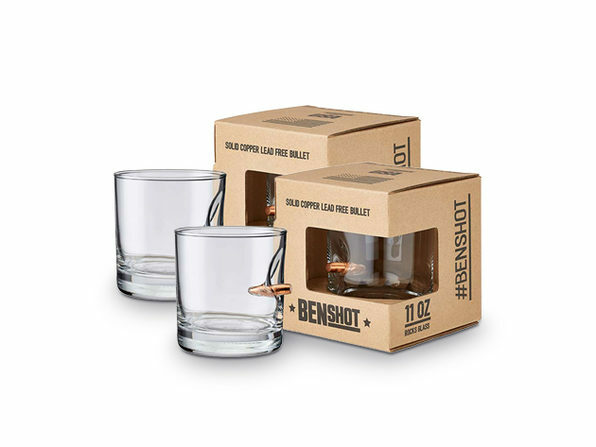 Embedded with a real, solid, .308 copper bullet, these glasses are the perfect gift for anyone wishing their drinks had a bit more stopping power. 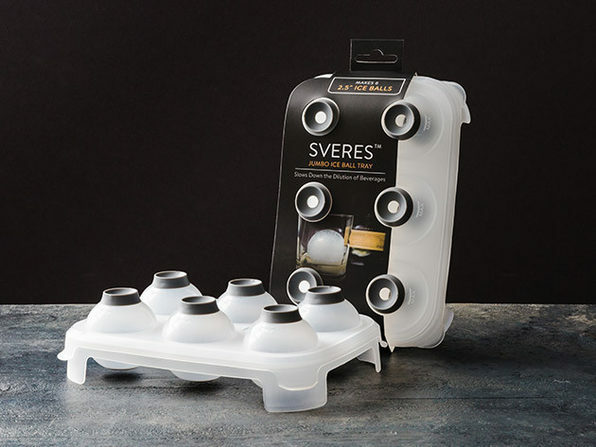 Each glass is unique and handcrafted with pride in the state of Wisconsin. 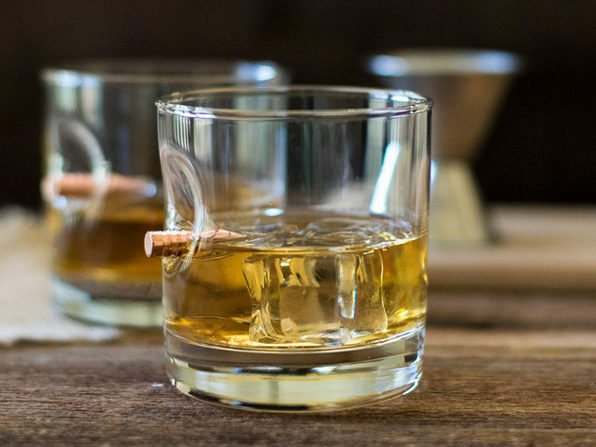 Note: Glass is not actually bulletproof or shatterproof. 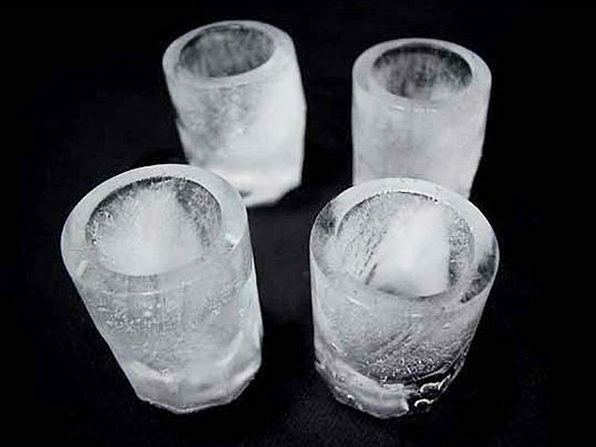 Note: The bullet used in each glass is 100% lead-free and safe to use to drink.